Sometimes the day of your wedding day is so hectic, it’s hard to get all of the stunning pictures of the bride that you want. Bridal photoshoots are perfect for capturing the pure beauty of the bride. As a separate shoot before the day of the wedding, a bridal shoot gives you an opportunity to get one of a kind pictures of the bride, as well as do a test run of your wedding dress, makeup, and hair. Serving Memphis TN and surrounding areas, Bella Luca Photography will deliver stunning pictures to treasure for the rest of your lives together. 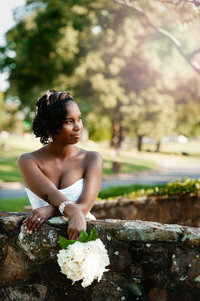 Bridal Sessions can be included in most of our packages. If you would like to purchase just a session, call to reserve you date.